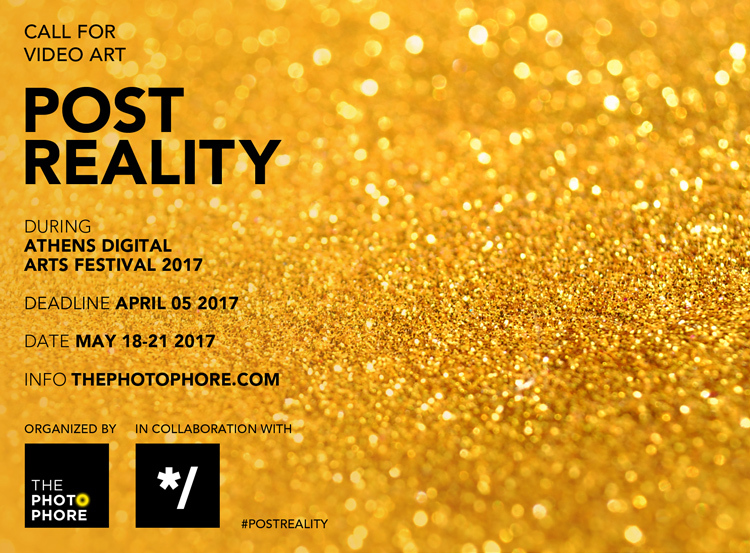 Athens Digital Arts Festival in collaboration with the international website The PhotoPhore created an open call for young artists. Short film, digital and animation artists had the opportunity to send their work and participate in the festival. ADAF2017 will incorporate the videos into its program and will show them in the days of the festival. The themes of the video it’s nothing else than #PostFuture, focusing mainly on the #PostReality theme asking artists to show the infinite possibilities that reality offers to overcome themselves. Technology, utopia, parallel universe and dreams are the basic features.